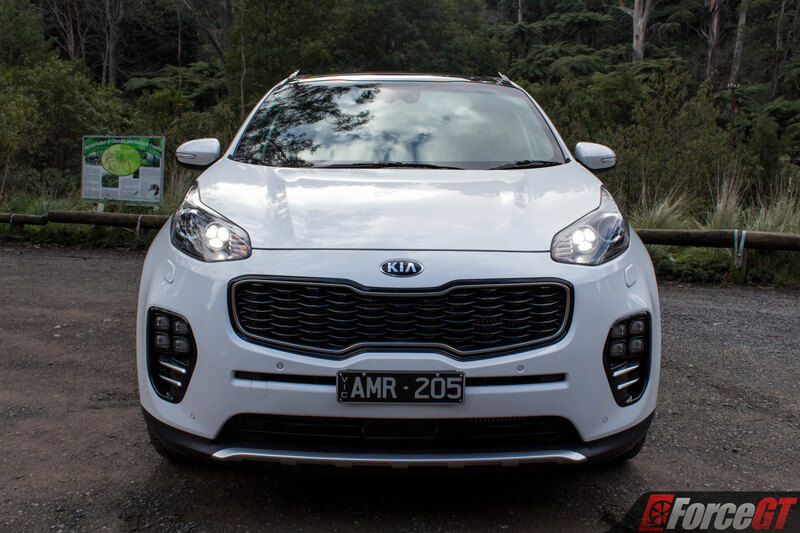 The mid sized SUV market is getting jam packed with more viable choices than ever before and it’s the Sportage GT-Line from Kia that we’ll be taking a closer look at. The GT moniker implies the Sportage has the ability to cover vast distances in comfort, with Australia’s less than perfect condition for the open stretches of road there could be no better location to put the name to the test. 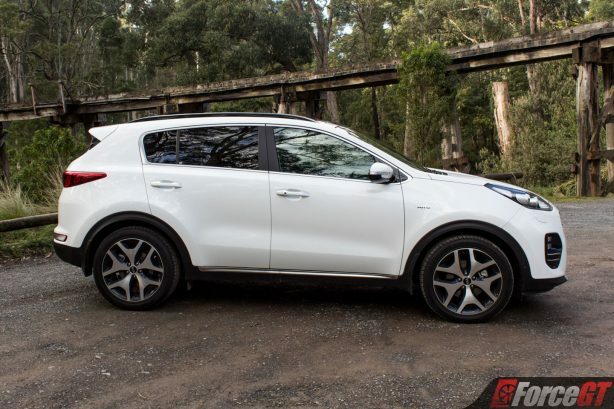 When it comes to the looks the Sportage will either draw you in or push you away, it’s not the type of car that’s afraid to show a hint of character and it has it in spades. 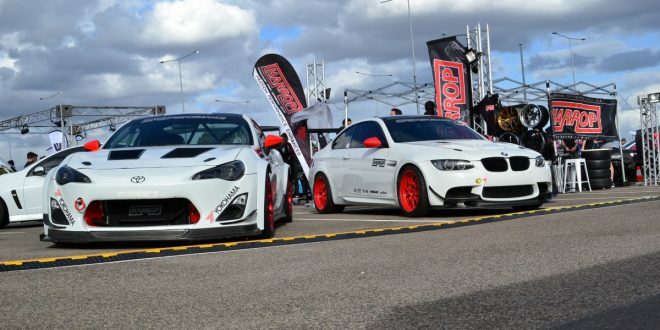 Up front the Bi-Xenon HID headlights look ultra high tech with their cylindrical housings and textured finish while the two by two array of foglights look inspired by the rocket pods mounted to an AH64 Apache gunship helicopter. 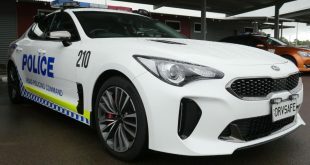 Kia’s signature tigernose grille is prominently displayed up front and the whole look works a treat. 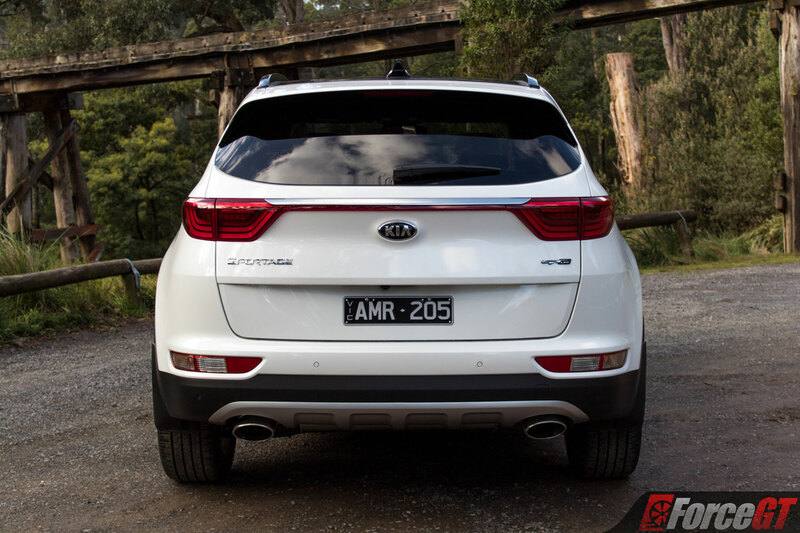 Former designer from Audi, Peter Schreyer, has worked his magic all throughout the Sportage and nowhere is this more apparent than the rear, where those taillights would be equally at home on much higher spec euro rivals. Does the same design quality extend to the inside? 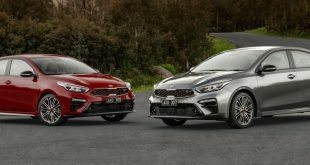 Sadly that’s not the case, as with most Kia’s the exterior design is leagues ahead of what lies within. However, with the Sportage, Kia is making steps in the right direction to bring it all up to spec but it’s the use of hard plastics and thick leather that drags it all back into familiar Kia territory. 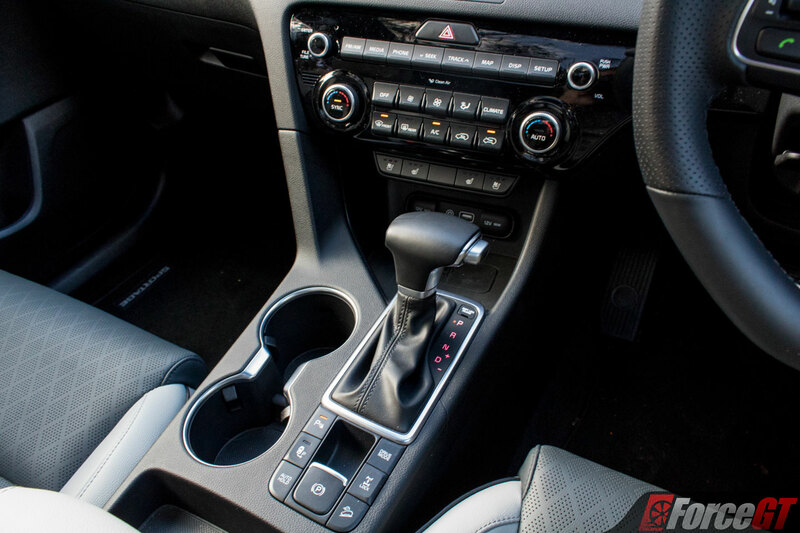 There’s a huge number of buttons available that allude to the vast feature set the range-topping Sportage GT-Line comes loaded with yet they’re all a little plastic to the touch and somewhat confusingly laid out. 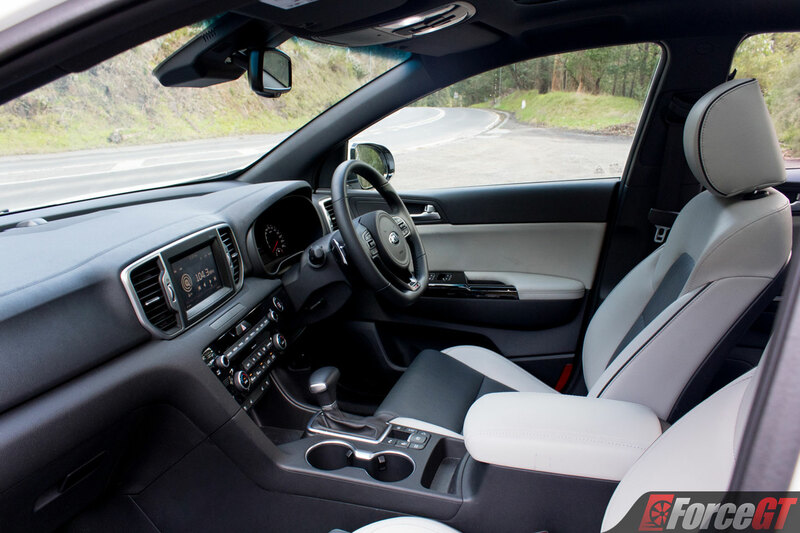 Thick A pillars and shrouded mirror mounts restrict driver visibility out of the front corners making it tougher than need be to estimate wheel placement for tight parking. 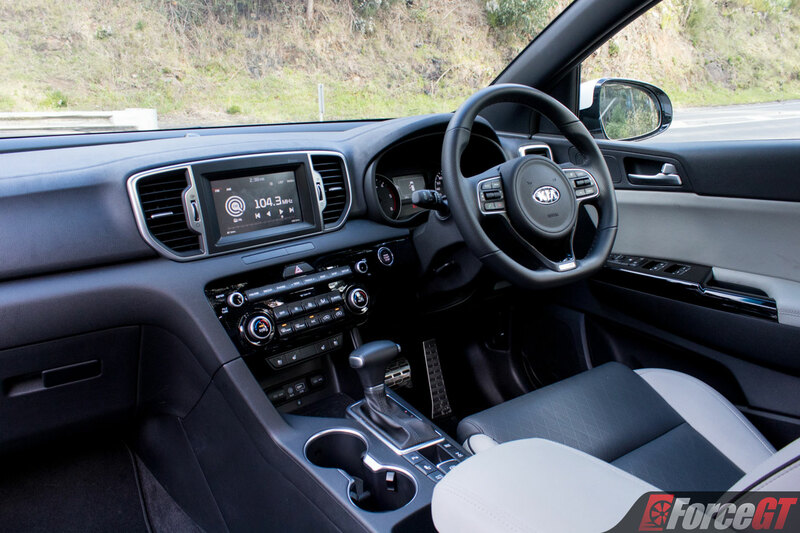 The 10-way electrically adjustable front driver seat combines with the telescopically adjustable steering wheel to provide an excellent seating position for maximum comfort. 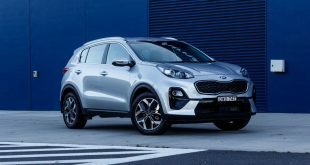 As a family SUV, the Sportage is comfort focused so the seats forgo their corner gripping ability in place of easier access both in and out. 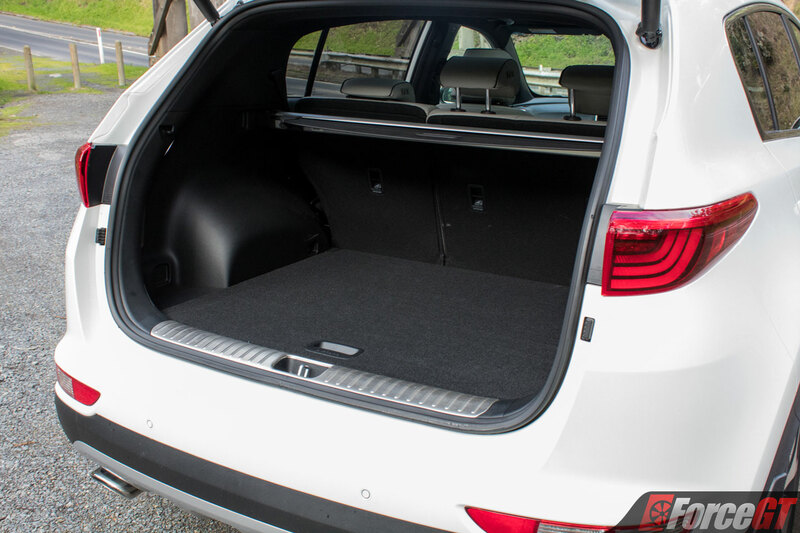 Rear passengers are sure to enjoy the ample head, leg and foot room provided by the Sportage. 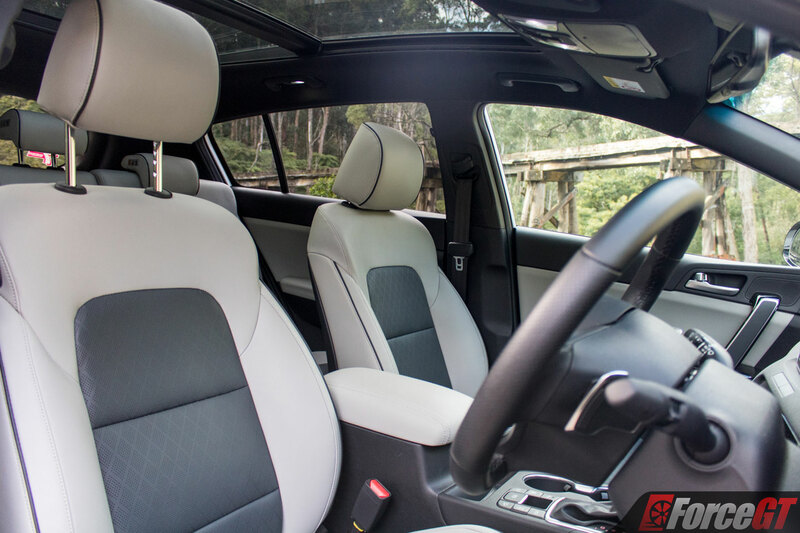 Both the rear outboard seats allow passengers to sit a little lower due to the recessed base, but expect fights to break out to avoid that middle seat as it doesn’t enjoy the same advantage and sits higher up with the driveshaft tunnel stealing away precious leg space. 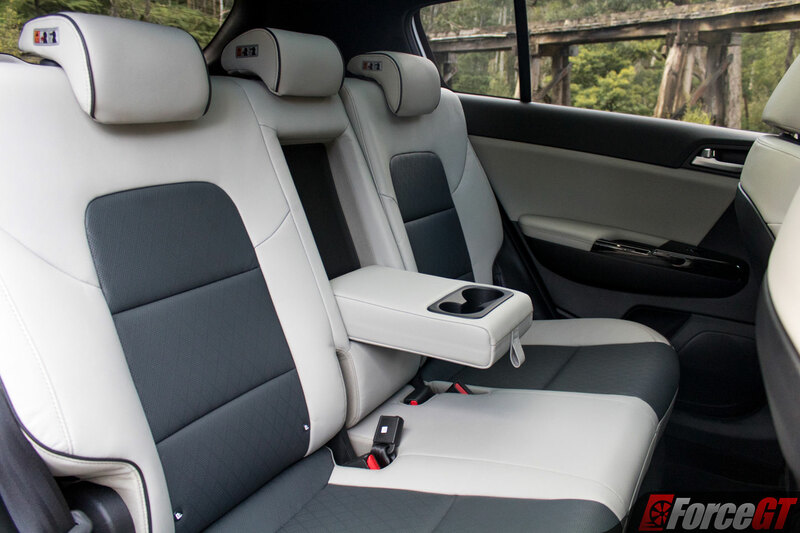 When not in use the middle seat’s fold down arm rest offers up two drink holders and the center console has air vents along with USB charging and a standard 12V charge port. 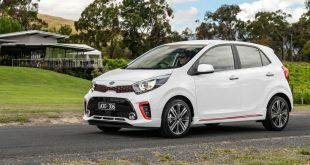 Using the hands-free smart power tailgate reveals a very usable 466 litres of boot space that extends to 1,455 litres once the split folding 60/40 middle seats are sacrificed. The brushed aluminium insert lining fitted makes sliding heavy luggage in scratch and effort free. There’s also a full sized spare hidden underneath that flat boot floor to save you the hassle of swapping out a range limited space saver in the event of a puncture. 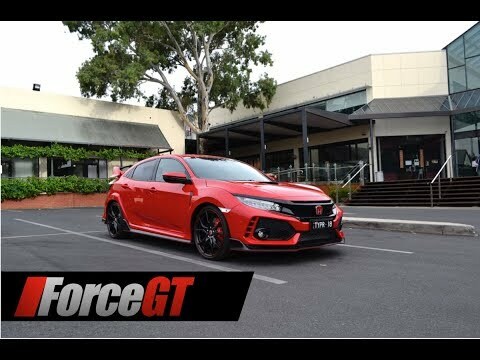 There’s two versions of the GT-Line available and we were able to score the 2.0L diesel. 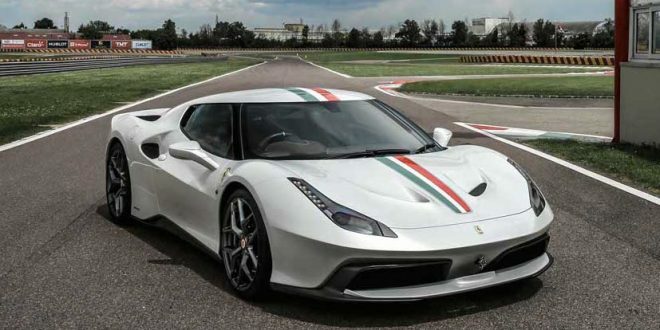 It’s not the most silent engine around, prod it with a sharp stick and it’ll let you know with that drony diesel infused note. 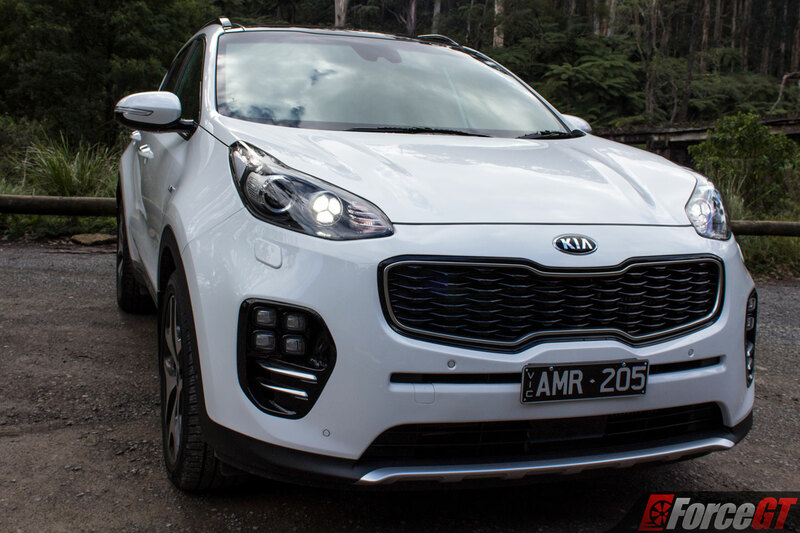 Aside from a dull noise the engine does a great job of hauling the Sportage around thanks to it’s mountains of torque, 400Nm from 1,750rpm to be exact. 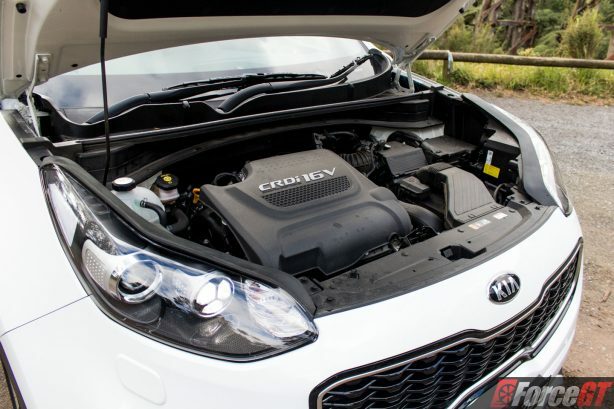 The engine surges the Sportage forwards with power maxing out at 136kW at 4,000rpm, not rocketship performance but ample power for towing or a fully loaded car. Off the line the Sportage isn’t as responsive as expected but once it’s up and going the gear shifts are rapid and smooth, using the paddle mounted shifters on selected roads makes it hard not to let a smile creep across your face. The real boon to the diesel Sportage comes in the guise of the tested 9.1L/100km fuel economy, so close to the official figure of 8.9L/100km. 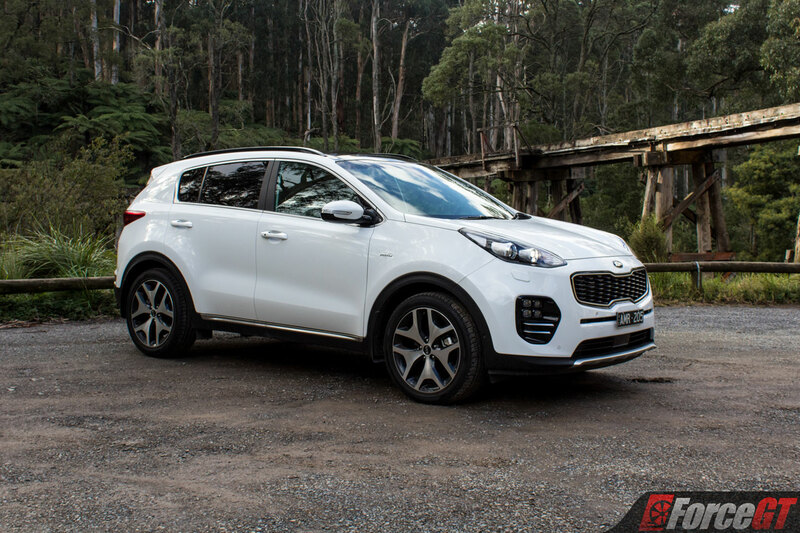 The Sportage isn’t exactly a featherweight which works in its favour as it sits on soft suspension that handles bumps and imperfect roads with ease. 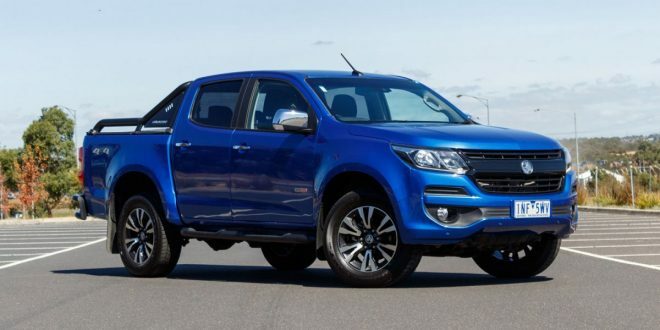 Defiant of its name, the ride is more on the soft side rather than sport like in nature which is fitting for the mid-sized SUV. 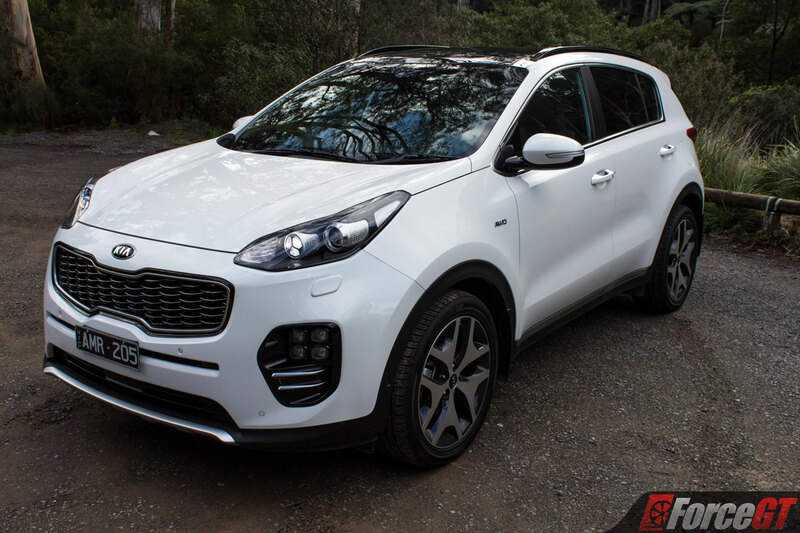 Comfort is the name of the game and the Sportage has nailed it while still providing a light steering feel and dynamics that reward a brisk pace on the right roads, just don’t ask too much of it or you’ll be greeted with push understeer to encourage a more relaxed pace. Sitting at the pinnacle of the lineup the Sportage GT-Line comes armed with all the toys from Kia’s arsenal. The highlight of which is no doubt the panoramic sunroof. 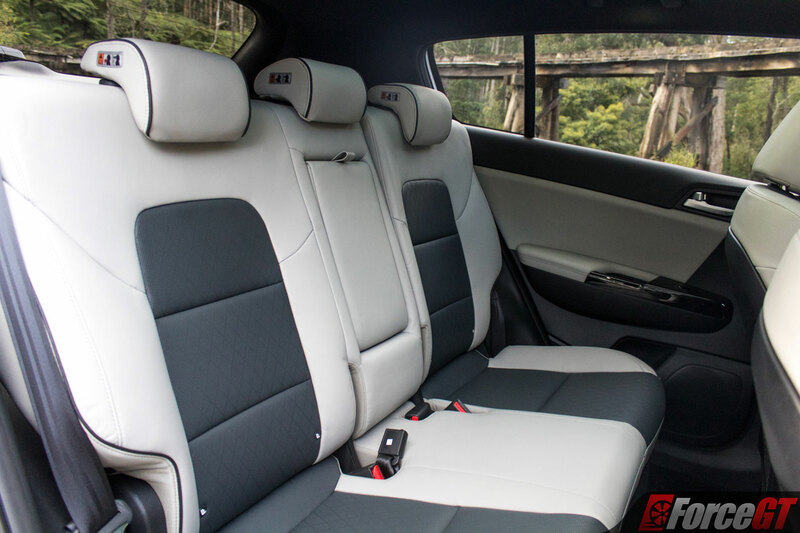 Its gargantuan in size and draws the outside world right into the cabin. 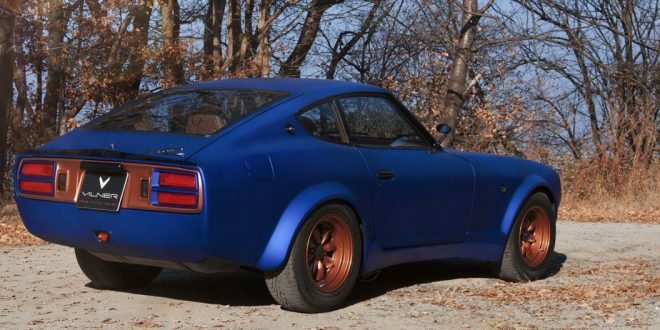 I absolutely adore it. 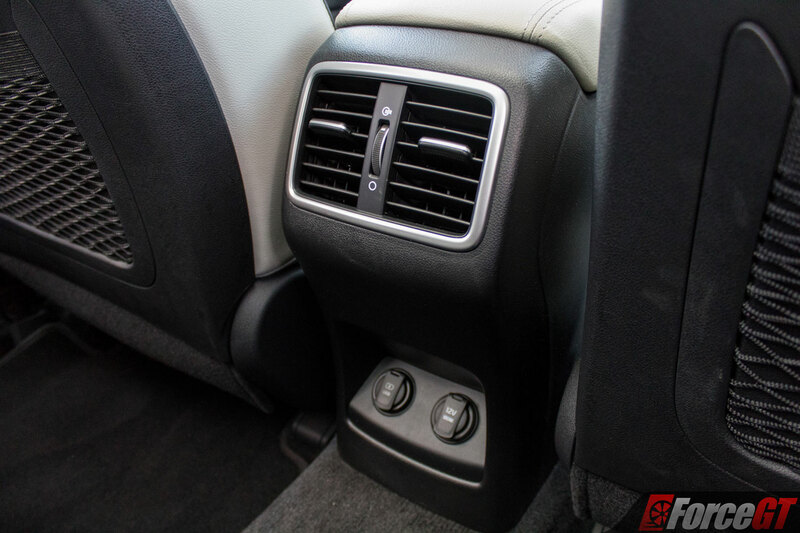 Heated and vented seats have your comfort needs covered in the searing heat or coldest of mornings and the wireless charging pad takes convenience up several notches for supported phones. Proximity keyless entry with push button start and the automatic electric handbrake allow you to just jump in and go with no need for such trivial chores like touching your keys. 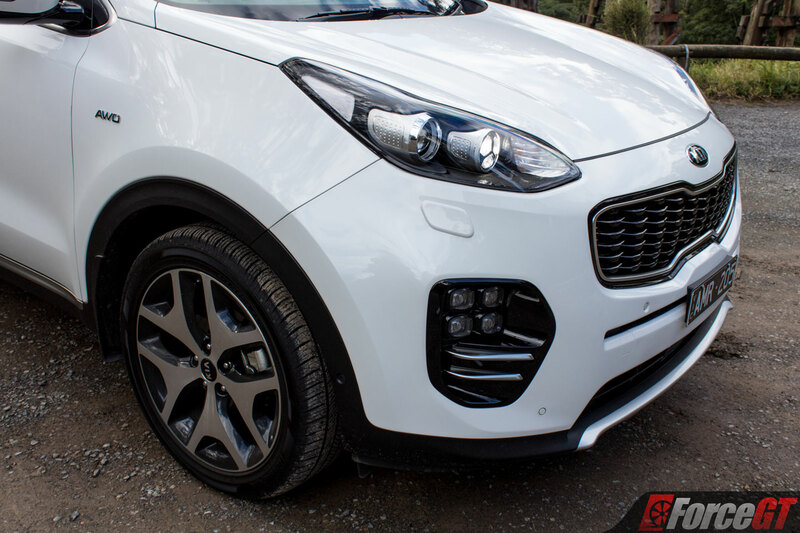 Low light and wet conditions are sorted with the inclusion of light sensitive high beam assist headlights and auto wipers, the Sportage asks very little of the driver in the way of micro management. 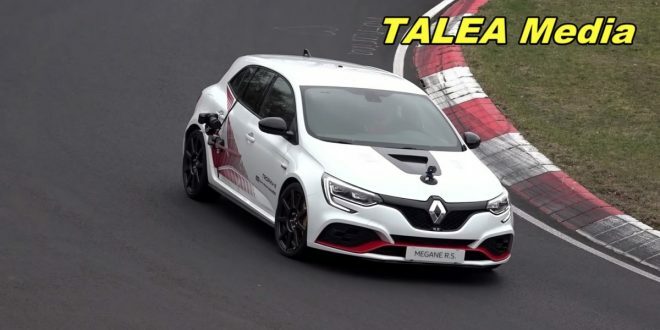 As expected cruise control is available though no radar assistance or even speed limiting functions come tied in which is offered on competing rivals. 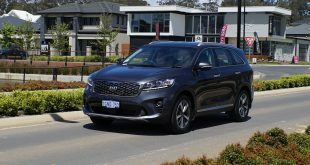 Rather Kia has focused their efforts on automating the much dreaded parallel parking with the parking assistance taking over steering for you when engaged. 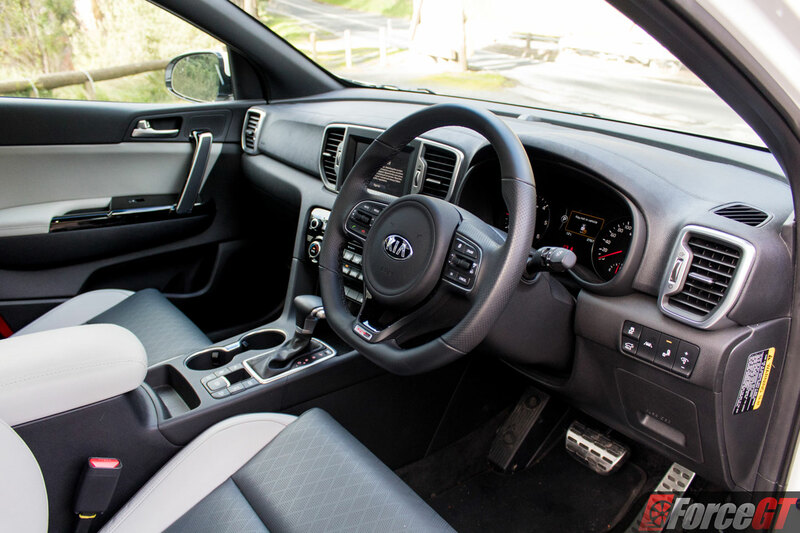 Entertainment is controlled by a 7-inch LCD touch screen that features Kia’s snappy and responsive interface. 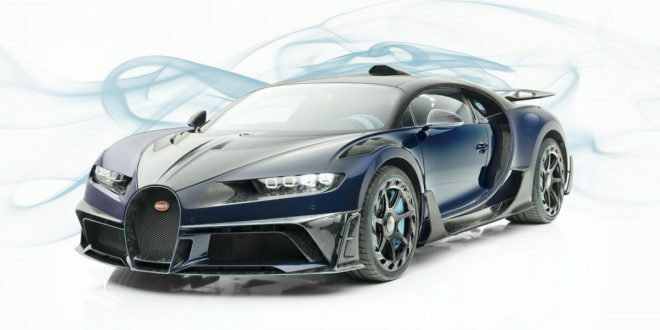 It’s well thought out and always a joy to use except when the car has just been started, you’ll be prompted each and every time to click away the warning message which in an ideal world should disappear after a set time by default. 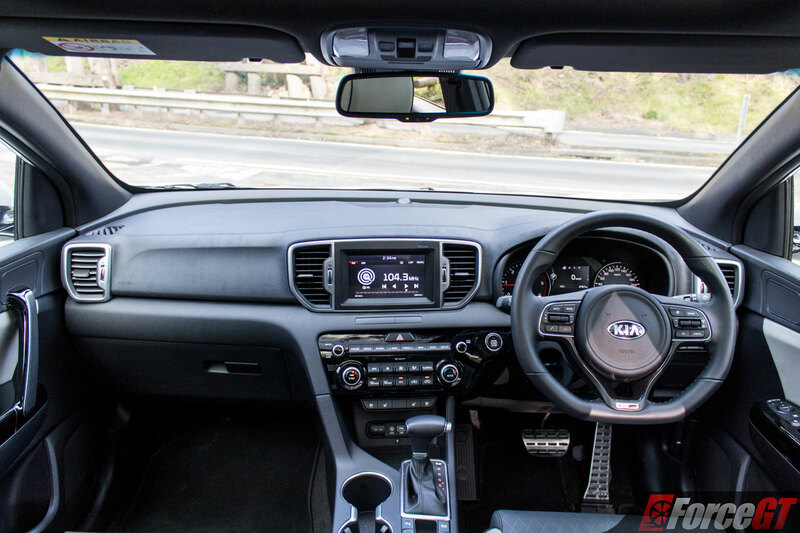 The same unit also contains satellite navigation with live traffic updates. 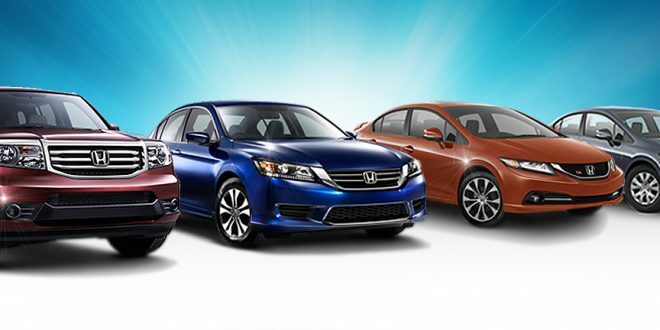 Both Android Auto and Apple CarPlay are available and all audio is pumped into the cabin through a 6-speaker system with average audio quality overall. 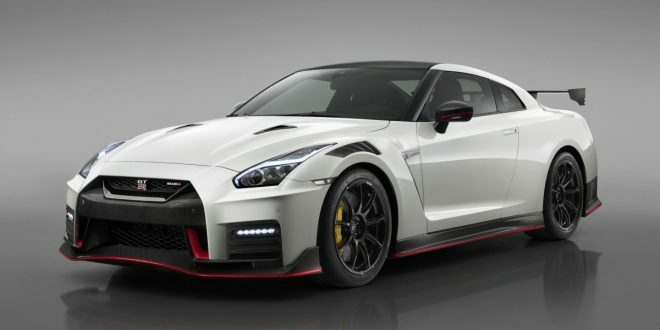 The inclusion of digital radio would have been nice and the choice to omit this feature is missed on a top spec car. 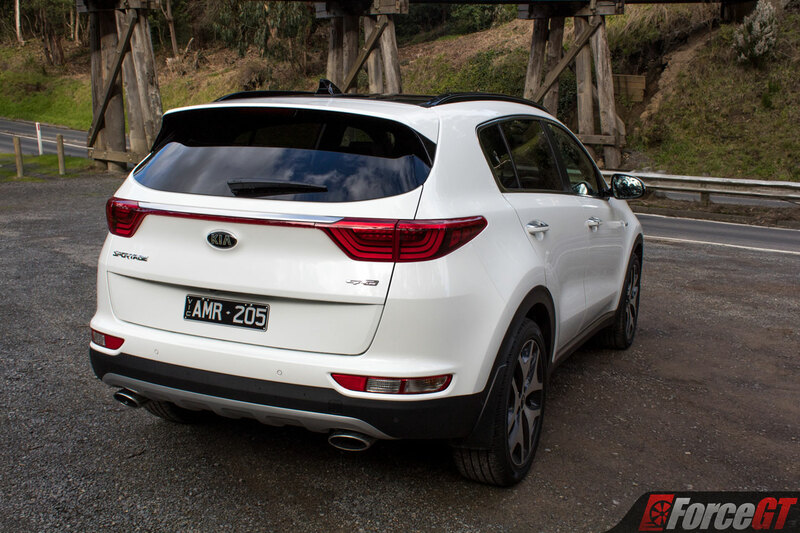 The Kia Sportage GT-Line makes a very tempting buy with its great looks and vast feature set. 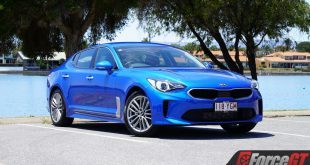 Its focus on convenience, practicality and comfort are sure to make it a winner with many Australian families and give more expensive rivals a real run for their money. 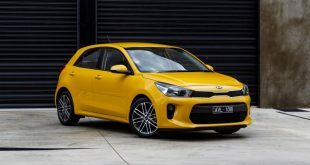 The included 7-year unlimited kilometre warranty, 1 year roadside assist and predictable 12 month service intervals help seal the deal, it’s a winner in our books.